State and corporate funding of the arts is well known as a way of supporting culture which reinforces the status of the political and corporate elite. In the US and UK, opera, symphony orchestras, the ballet, museums, art galleries, plus the infrastructure that supports them, all get significant funding from both sources. Usually targeted towards an upper or upper-middle class audience and serving both their taste and social interests. What is less well-known is the systematic state subsidy of corporate sponsorship and philanthropy, which has been going on in some form or another since the 1950s. Direct state subsidy is quite easy to trace and quantify, but in the US, and to a lesser (though increasing) extent in the UK, the State has supported many forms of cultural activity either covertly via intelligence services, or indirectly via the tax system. This has made public art institutions dependent on corporate sponsorship for their existence, and allows companies to get a significant kick-back from the state for what is already a very targeted and cost-effective form of advertising. During the Cold War in 1950, the US Central Intelligence Agency (CIA)set up an organisation called the Congress for Cultural Freedom, which existed until 1967 as the main body of their cultural wing. Run by Michael Josselson, at its peak the Congress had “offices in thirty-five countries, employed dozens of personnel, published over twenty prestige magazines, held art exhibitions, owned a news and features service, organized high-profile international conferences, and rewarded musicians and artists with prizes and public performances”. It was originally set up with the primary purpose of funding cultural activity in Western Europe, one of its earliest major activities being the Masterpieces of the Twentieth Century festival in Paris, 1952. This month long festival included the Boston Symphony Orchestra, the Vienna Philharmonic, the West Berlin RIAS Orchestra, and works and appearances by as many composers as possible who's works had been banned or denounced by, or had physically fled, Nazi Germany and the USSR, including Stravinsky, Schoenberg, Hindemith, Berg, Debussy, and Copeland. “We recognised that this was the kind of art that didn't have anything to do with socialist realism, and made socialist realism look even more stylised and more rigid and confined than it was. Moscow in those days was very vicious in its denunciation of any kind of non-conformity to its own very rigid patterns. So one could quite adequately and accurately reason that anything they criticised that much and that heavy handedly was worth support one way or the other”. The Congress for Cultural Freedom was therefore characterised by two main approaches: channelling state money through private sponsorship in order to prevent any artists involved noticing the CIA's involvement, and funding “progressive” art, loosely aligned with the Non-Communist Left. Both to show how culturally progressive the West was, and to try to increase the status of artists aligned with the NCL over those who supported the Soviets. It also artificially inflated the power and prestige of “private” cultural institutions such as MoMA and the Guggenheim foundation, supplying them with ample support towards their already considerable resources. However, since then, individual and corporate philanthropy and sponsorship have still been receiving significant state subsidy through the process of tax expenditure. Most large arts organisations, no matter how elitist, are registered charities, and donations to them are tax-deductible. In short, if a donor (private or corporate) pays a tax rate of 40%, £1 donated to a charity will give them a tax break of 40p, with only 60p of the donation coming out of pocket; the state therefore contributes an additional 2/3rds over and above their out of pocket donation. If someone pays a tax rate of 20%, the state contributes 20p against their 80p, an addition of 25% to their out of pocket donation. Due to the graduated tax system in both countries which has been in place to a greater or lesser extent over the past 20-30 years, those on lower incomes get considerably less subsidy for their donations to arts organisations and charities in general. Corporate donations are similarly tax deductible. This allows corporations and wealthy individuals to have considerable influence over the finances of cultural institutions, and more indirectly over what's represented in them, all with a considerable discount provided by the State. Direct state funding is slowly withdrawn (although the money is in reality still be spent), and either taken out of the Arts altogether, or channelled into new initiatives. The common liberal or anti-corporate reaction to this sort of activity is that tax-loopholes should be closed up and the money spent directly by the state to make it accountable. All that would do would be to restore the bureaucratic elite to a central position of resource control for cultural activity instead of the corporate one. In fact, the same people with the same interests; many politicians, ex-politicians and high-level civil servants serve on the boards of charities and non-profit Arts organisations in the same way they are often also company directors. Quangos and other government agencies are by no means accountable, and an attack on corporate sponsorship can very easily end up supporting them as an alternative. Creative Industries Development Agencies, are one of the most recent ways that the State and Capital are co-opting art towards their interests. People have been well aware for some time that artists are often the first to move into deprived areas and start the process of gentrification – opening small galleries or craft shops, giving deprived areas a veneer of cultural and artistic activity, and taking over and renovating disused industrial spaces for workshops and studios. Usually this is an organic process, many artists are simply unable to afford to live or work anywhere else and are attracted by cheap rents and empty space. With the advent of Creative Industries Development Agencies, the State is now targeting areas (East London, Brixton, Yorkshire/Humber region for example) to actively support this process. The agencies use money from regeneration budgets (notably from Ken Livingstone's London Development Agency with support from the CBI), to provide business advice, accommodation, marketing, and other services to people involved in “creative industries” - already a loaded term for cultural activity of any kind, placing it firmly within enterprise culture and commodity exchange. Rent and property value, at least in areas of East London, has overtaken the capacity of artists and even those in the new media industries (regarded as responsible for most of the gentrification) to afford accommodation easily. Many redevelopments, including those with “live/work” planning permission (often a thinly disguised excuse for massive luxury studio apartments instead of either affordable housing or viable work space) are aimed at City workers in the financial sector, with corresponding prices. This leads to a polarisation where local residents can clearly see the priorities of developers, and begin to mobilise against it - the State is therefore having to artificially inject artists into these areas in order to give some kind of cultural authenticity and public service veneer to the development process. Projects include housing Arts projects in derelict spaces for short periods to prevent them being used for squatting before redevelopment, and generally trying to reduce the negative effects of gentrification for cultural workers in order to prevent them being pushed out along with the wider working class (the same can be said for key worker housing). Although this kind of activity temporarily ameliorates the difficulty of finding appropriate space for a small number of approved artists, and those artists are rarely in a position not to take advantage of them, it doesn't deal with the issues of private land ownership that cause those problems in the first place. It also serves as a means to divide the interests of the working class – local residents (quite rightly) point to the money being spent on “creative industries” development, which isn't being spent on repairs to council accommodation, building cheap general-use housing, or infrastructure, often ignoring the fact that many artists are also on low-incomes with low-paid casual day jobs in order to pay these higher private rents. This becomes a smokescreen for the true nature of gentrification, which will eventually push out both artists and local residents in favour of luxury residential and retail developments. The only way that artists and musicians can gain control of their activity without reliance on the State or corporate sponsorship, is to develop self-managing structures to work towards a society which will not leave their livelihood dependent on the State, Capital, or patronage by the rich. This involves recognising that their interests lie with the wider working class, and building solidarity between themselves and their communities in order to further their interests outside bureaucratic and sponsorship mechanisms. It is in all our interests to work towards a society where we are not required to take low-paid work or rely on benefits and patronage in order to meet basic needs, and where all individuals are able to reach their full potential through the liberation of work and cultural activity from capital and commodity production. 2.James Burnham, Notes on the CIA shambles, National Review, 21 March, 1967, cited ibid. 3.Donald Jameson (CIA), interview, 1994, cited ibid. This article's been up for some five years and there isn't a single "huh so thats why art is so terrible" joke? Nice, and concise introduction into the subject. 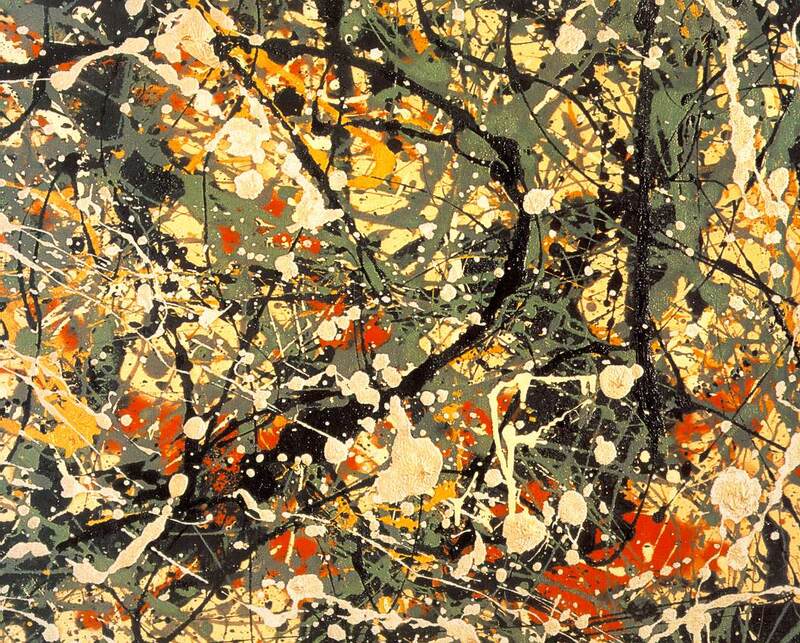 Just a side note though, it's "Abstract Expressionism", not "Abstract Impressionism". Same era, different movements.